Buy the perfect gift for the aspiring author in your life this Christmas for £75. This is a rare chance to get a professional appraisal of your novel from an industry insider. Rachel will read and review a synopsis of your book along with the first 3,000 words of your manuscript (fiction only). She will provide an in-depth report (approx. 1,000 words), giving editorial guidance on content and expert advice on how to improve your material. 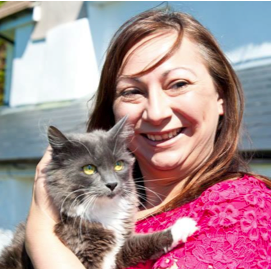 Rachel Wells is a mother, writer and cat lover who lives in North Devon with her family and believes in the magic of animals. 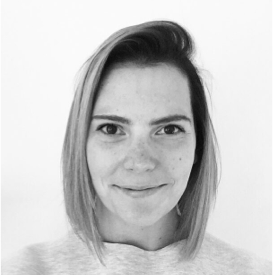 She grew up in Devon but lived in London for a number of years, working in Marketing and living in a tiny flat with an elderly rescued cat, Albert. After having a child she moved back to North Devon and is currently juggling writing full time and being a single mum to her son, Xavier. She has always had cats as pets, ever since she was a young child, and she has always loved writing. Delighted to have been able to combine her two main passions, ALIFE THE DOORSTEP CAT is her first cat novel. It was a Sunday Times Top Ten Bestseller. She is delighted to have been able to continue the Alfie series with A CAT CALLED ALFIE and the recently released ALFIE & GEORGE. She has also published two children’s books about the same cat. ALFIE – FRIEND FOR LIFE – CAT IN TROUBLE and FAR FROM HOME were released this year. On purchase of this product, you will be sent a gift certificate for your manuscript appraisal, along with an email address through which you will submit your work. You have until 25th December 2017 to send in your synopsis and manuscript sample. Your synopsis should be 1-2 pages of A4, and must provide detail of your novel from beginning to end, giving as much information as possible. Alongside this, please also submit the opening extract of your novel, which should be no longer than 3,000 words in length. We cannot accept anything that exceeds this word count. Your chosen industry insider will provide you with a review of your synopsis and writing, of approximately 1,000 words in length. This will be sent to you within two months of submission of your work. Our manuscript appraisals are fair and honest, and will give constructive feedback, detailing ways in which you can improve your work, whilst giving an idea of the commercial viability of your proposal in the current market. We cannot enter into further discussion once you have been sent your manuscript appraisal, however, we aim to provide expert advice on how best to proceed with your work and prepare it for submission and publication. By purchasing this product you are helping children living on the streets in Uganda. All proceeds from this sale will go directly towards our work with children and their families who are without a home. Please note, all the editors, agents and authors who are reviewing the books are doing so in their spare time and are donating their time to S.A.L.V.E. International free of charge. This offer is not supported by any publishing house or literary agency. The service is only for review of your manuscript and your manuscript will not be reviewed by any publishing house for publication. When buying this gift, please consider the genre of manuscript which will be submitted. To get the most out of your manuscript appraisal, we advise that you choose an industry insider whose skills lie in the area in which your book will publish. So if you are writing a novel, please choose an adult fiction editor or author. Likewise, if you are writing a children’s novel or non-fiction book, please make your selection based on this. See the different options currently available here. If you have any queries, please get in touch with amy@salveinternational.org. We are happy to answer any questions you have.